In addition to 8 stakes worth nearly $1.5 million on the richest day of racing in West Virginia coming up on April 20 at Hollywood Casino at Charles Town Races, horseplayers will also find an extra incentive to partake in two of the multi-race pools in the latter half of the 13 race program. 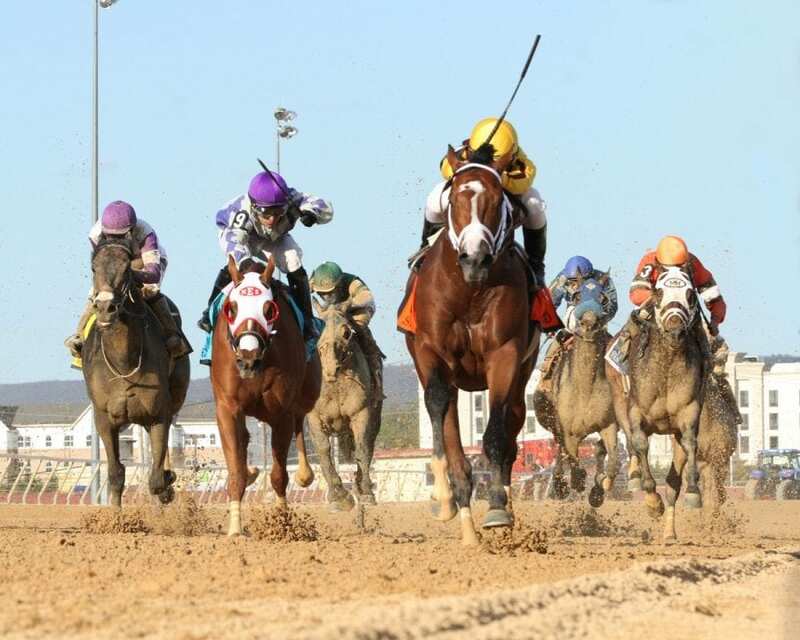 Charles Town will offer players a $100,000 Guaranteed Pick 4 pool that will cover four stakes races on the Charles Town Classic card and requires bettors to select the winner of those four consecutive races. By virtue of guaranteeing the Pick 4, Charles Town will supplement the difference to the pool if less than $100,000 is wagered. Bettors who played the same Pick 4 on the 2018 Charles Town Classic card and identified all four winners were rewarded to the tune of $754.80 for each winning $2 wager, compared to a $2 parlay on the four winners returning just $290.40. Additionally, the track’s jackpot Pick 6 – the Charles Town 6-12 – will see a mandatory payout of any carryover that remains going into April 20. The Charles Town 6-12 covers the final six races on the card and offers a low 12-percent takeout on the wager. On the only prior mandatory payout of the Charles Town 6-12, which came on the final live card of 2018, the $252,508 in the carryover saw an additional $1,006,171 wagered which equated to a positive takeout on the gross pool for players who decided to partake that night. As of April 2, with 11 more full cards remaining before Charles Town Classic day, the carryover in the Charles Town 6-12 stands at $101,723. The first race on Charles Town Classic day is set for 12:30 P.M. EST, with the $100,000 Guaranteed Pick 4 commencing in Race 9 and ending one race after the $1,000,000 Charles Town Classic, in Race 12. The first leg of the Guaranteed Pick 4 is scheduled to go postward at 4:29 P.M. with the Charles Town Classic itself slated to go off at 5:37 P.M. The Charles Town 6-12 kicks off in Race 8 with a scheduled post time of 3:55 P.M.